The Firemen’s Memorial is a bustling hidden gem tucked behind a quaint tree-lined street on the historic Upper West Side. Whether it’s eating, jogging, or going for the afternoon stroller ride, many individuals can be seen enjoying the serenity offered at the memorial. The location is truly spectacular as the monument neighbors and overlooks the beautiful Riverside Park. However, the Firemen’s Memorial is not just a spot for people to socialize and frequent -- it has much more significant historical roots. Like other metropolitan cities in the 18th and 19th centuries, many buildings in New York City were destroyed by large raging fires. In a fire during the American Revolutionary War, and the Great Fires of 1835 and 1845, hundreds of buildings were destroyed, and many people lost their lives -- including 50 on-duty firefighters. To commemorate the bravery of these 50 firefighters, the Firemen’s Memorial was created in their honor. The monument was dedicated on September 5, 1913, and was accepted on behalf of the City of New York by Mayor William Gaynor. 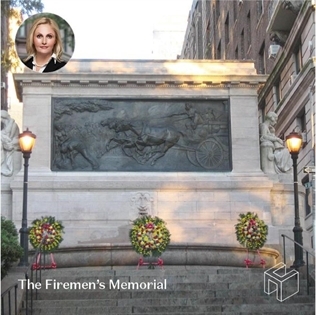 The Firemen’s Memorial was originally planned for Union Square, but ultimately ended up being built on the Upper West Side’s Riverside Drive, on the West 100th Street block. The monument was designed by Harold Van Buren Magonigle, with sculptures by Attilio Piccirilli. Every autumn, a ceremony is held at the monument to honor firefighters who lost their lives to protecting the City of New York. If you ever find yourself in the area, I absolutely recommend walking over to this brilliant monument. I currently have a new listing on this exact block: a parlor floor-through estate two bedroom home with marvelous bones and an abundance of prewar details. This is a very special property that rarely comes onto the market. The soaring 12-foot ceilings, oversized windows, ornate parquet floors, a tall original pocket door, and a Juliet terrace are just some of the features that make this fixer-upper so special. For listing detail, please click here. 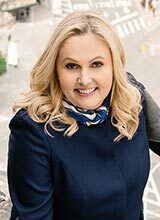 Featured blog post for Anna Kahn’s Exclusive Listing 321 W 100th St. Residence 1 The Firemen’s Memorial is at Riverside Drive and West 100th Street.